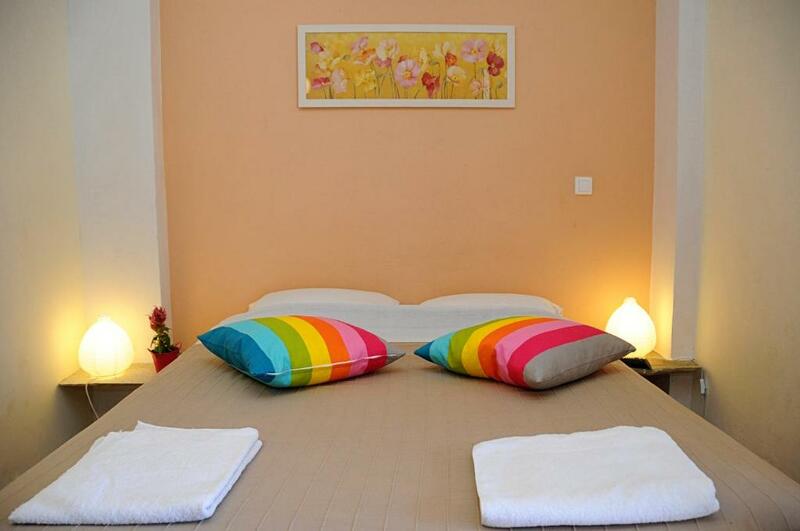 Friendly people, simle accomodation. But according with price ok. 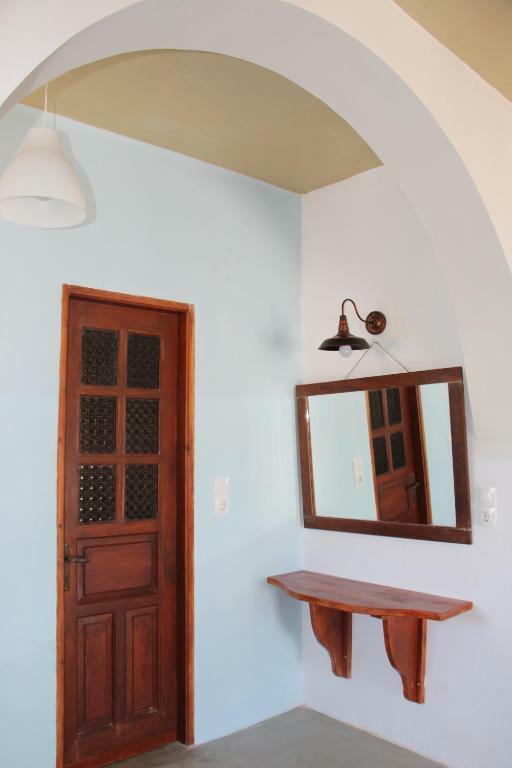 The pansion is located close to super markets, bakeries and the town center. Both the room and the balcony were spacious. The owner was very friendly. Value for money choice. 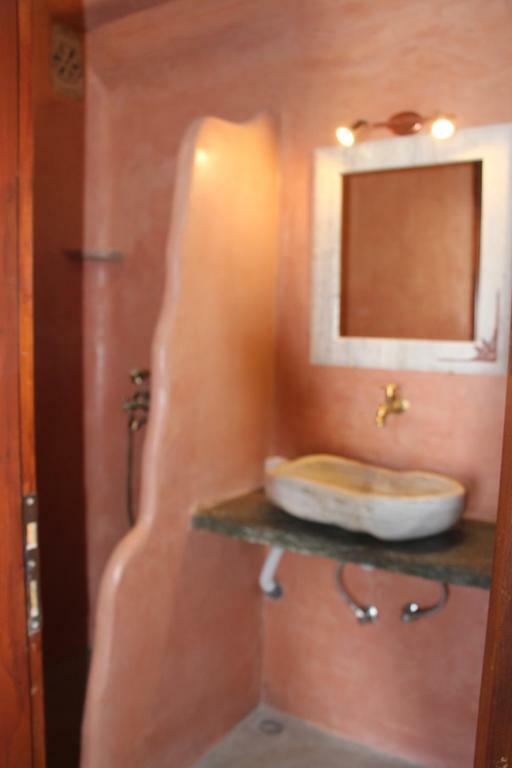 Ideal for those who prefer spending more time on discovering the island than staying at the room. It would be of my choices for a future trip in the island. Andreas picked us up from the ferry. He does that for all guests, he said. He spoke excellent English, was very friendly and gave us lots of information about Tinos. We had the room with the shared terrace out the back, with views of the mountains and even though facing east good shade in the morning thanks to the little laundry shed on it. The host picked us from the port and drove to the city center when we left. He also showed us the best route to the city center and gave tips of places to visit and best beaches. There is a good bakery in the next block where one can buy good coffee, bread rolls, juice etc. The terrace was very big with a nice view to the hills. We got new towels every day. Pillow cases were beautiful with lace decorations. It was easy to park the rental car near the accommodation. The neighborhood was quiet and the terrace doors had an excellent noise insulation. Lovely big room compfy bed clean sheets ,large balcony owner picked up at port and taken back ,he was very friendly and polite. Ο κ.Ανδρεας είναι πολύ ευγενικός και εξυπηρετικος. Το δωμάτιο άνετο, καθαρό και με μεγάλη βεράντα. Τον ευχαριστούμε πολύ για όλα! Πραγματικά υπέροχα,ευγενεστατος ο Κ.Αντρεας,μας πήρε και μας πήγε στο λιμάνι, πολύ όμορφο δωμάτιο με υπέροχη θέα και σε απίστευτη τιμή, πολύ κοντά στην Χώρα και στην παραλία,δεν χρειάστηκε αυτοκίνητο,🤗😍 Ευχαρίστως θα ξαναπάμε,το συστήνουμε ανεπιφύλακτα!! 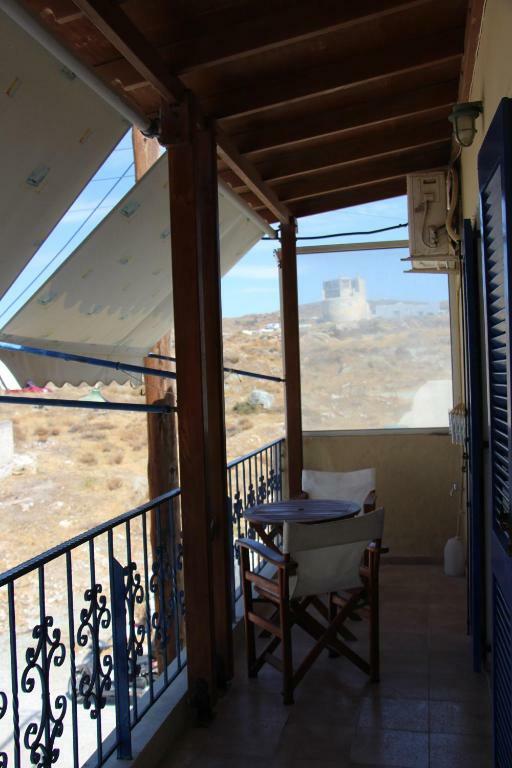 Just 1,650 feet from Agios Fokas Beach, Pension Andreas is in Tinos Town. 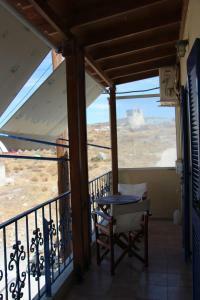 It offers a self-catering unit with a balcony. Free WiFi access is available in all areas. The property is 1,650 feet from Megalochari Church. 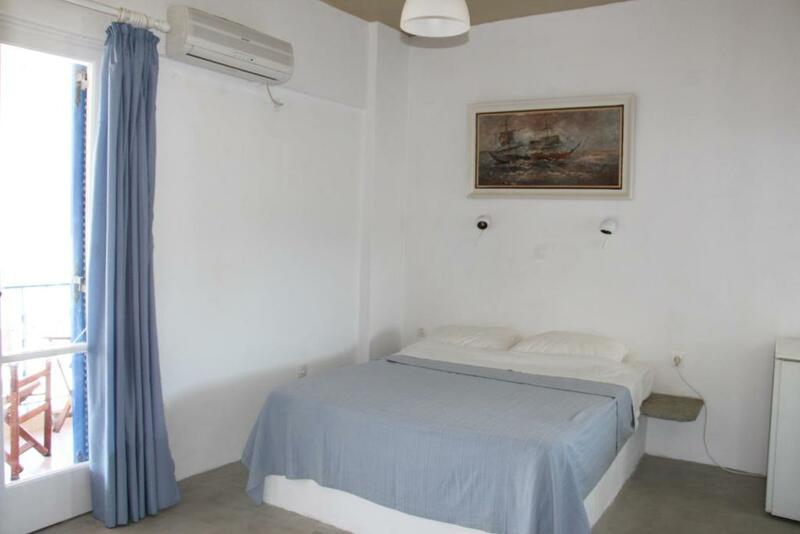 Simply yet tastefully decorated, this air-conditioned studio of Andreas comes with a flat-screen TV. 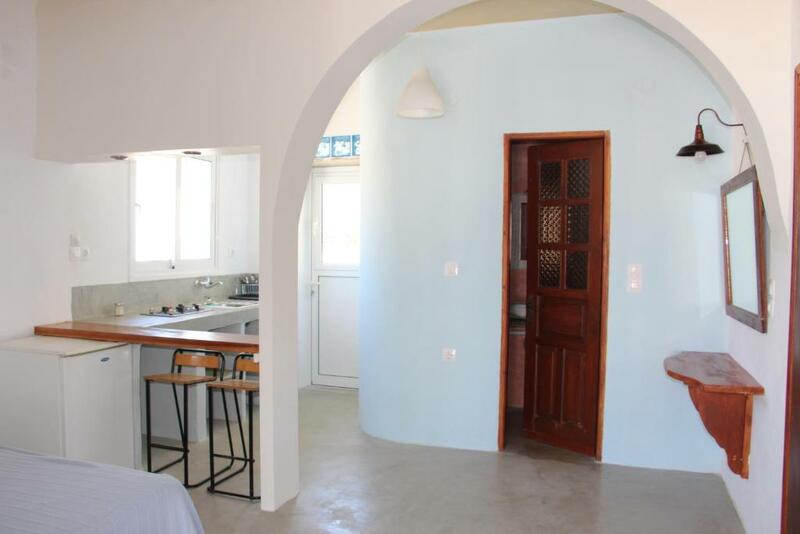 It features a kitchenette with cooking hobs and a mini fridge. 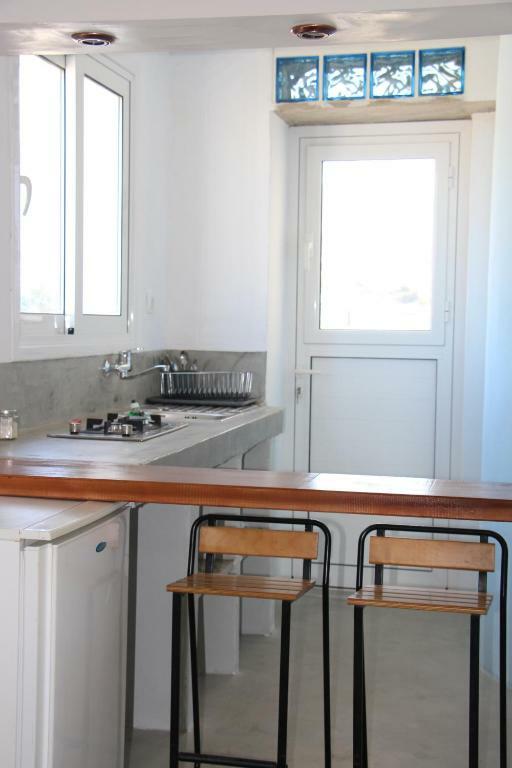 A bakery is 350 feet away and a restaurant, a supermarket and a café bar can be found within short walking distance. The island’s port is 0.6 mi away and free shuttle service is provided. 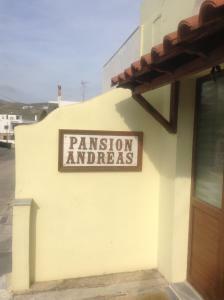 When would you like to stay at Pansion Andreas? Opening to a balcony, this tastefully decorated and air-conditioned studio comes with a flat-screen TV. It features a kitchenette with cooking hobs and a mini fridge. Free WiFi is provided. 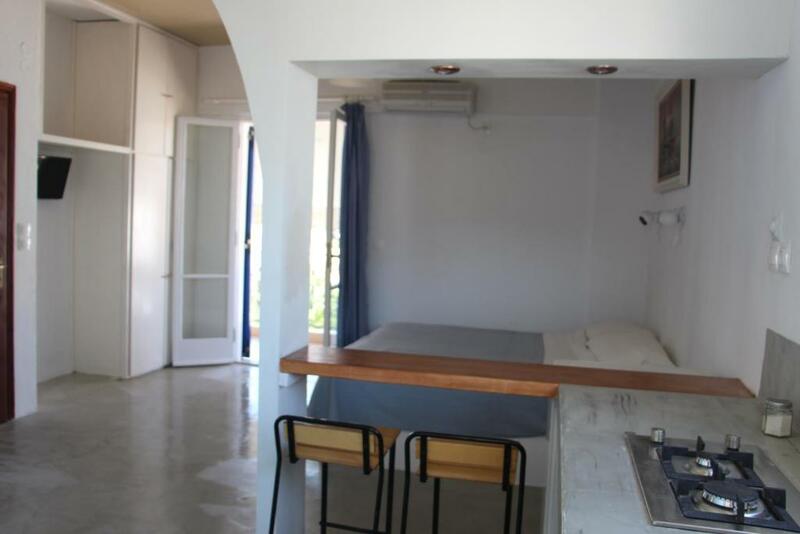 This quadruple room features a balcony, stovetop and kitchenware. House Rules Pansion Andreas takes special requests – add in the next step! Pansion Andreas accepts these cards and reserves the right to temporarily hold an amount prior to arrival. Please note that a daily cleaning service is offered, while linen and towels are changed every 3 days. Please inform Pansion Andreas of your expected arrival time in advance. You can use the Special Requests box when booking, or contact the property directly using the contact details in your confirmation. There was an unbearable unexplainable constant noise that drove us crazy. The bathroom was like a dungeon. The nights were just starting to get a bit cooler, but there were no blankets in the room, only a sheet to cover ourselves. The neighborhood was noisy enough (cars, loud music from the next-door neighbor) even late in the night. 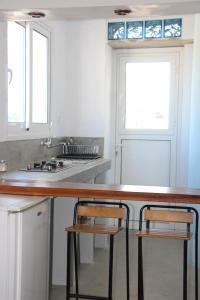 It was difficult to prepare a meal in the room because the kitchenette had limited equipment. For an adult the location was not too far from the city center, but after a long day on the beach the kids complained a bit, because they needed to walk uphill from the city center. More utencils in kitchen needed such a shame big kitchen nothing to cook with .